Good afternoon and happy Friday from Gill Elementary. We are quickly approaching our February recess, though recent temperatures may have you mistaking it for our April one. Given the recent wet weather, and some inquiries about our recess policies, I thought it would be worthwhile to send them out. We try to go outside for recess unless there is a danger to kids’ safety. With that in mind, we will go out in drizzle and snow. We generally use the cutoff temperature of 20 degrees to determine if it is too cold. However, that is a bit suggestive. It if is a calm 18 with the sun shining, we will likely be outside. Likewise, if it is 33 and drizzly with a biting wind, we will likely be inside. We have also had many students who are wet after recess asking for changes of clothes from the nurse. While we do have some extra clothes, we try and reserve these for true emergencies- someone got sick, soiled pants, or a fall into a puddle. Wet knees and and bums don’t quite reach that standard. If your child likes to play in the snow, it is worthwhile sending in a second set of clothes in case he or she gets wet. Likewise, on Thursday which is our P.E. day, it may be worthwhile to send in a second shirt for your child to change into after running and playing. 20 kids in a room is 40 armpits, and nothing helps illustrate our kids’ physiological changes more than 45 minutes of physical activity in a warm room! Speaking of physical activity, our 100 mile club continues to be a success. Almost every K and 1st grade student has reached 25 miles! If your child would like to participate and you have not sent in the $10 fee, you may still do so. You may also sponsor other kids who may not have the means by sending extra with a note that you would like it to go towards an eligible student. 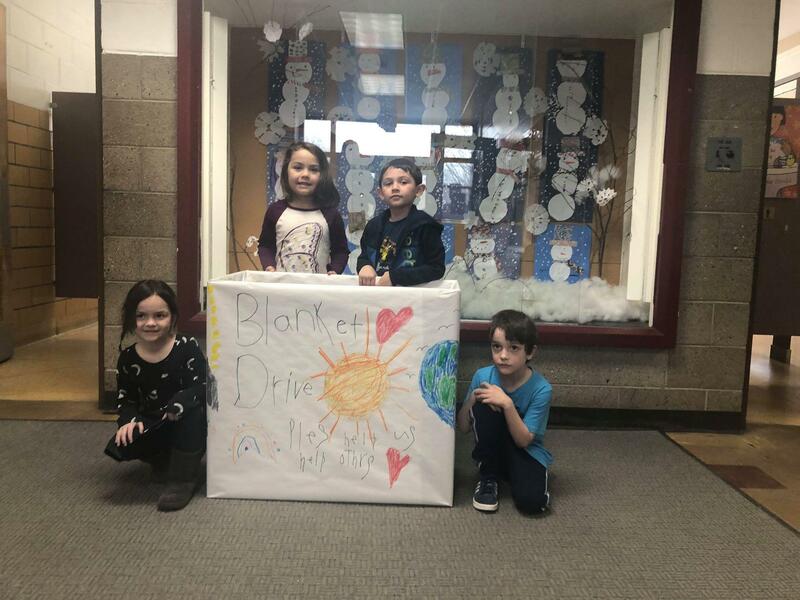 Lastly, I’d like to acknowledge our kindergarten class for a job well done with their blanket drive. They worked hard to collect, sort, and deliver the blankets to local shelters. In doing so, they practiced their group work, math, and conversation skills and exemplified what Gill Elementary is all about. Bravo kindergarten!